A quick and easy way to keeps pets clean and smelling great when baths are not suitable, massage the foam into the coat, brush and leave to dry. 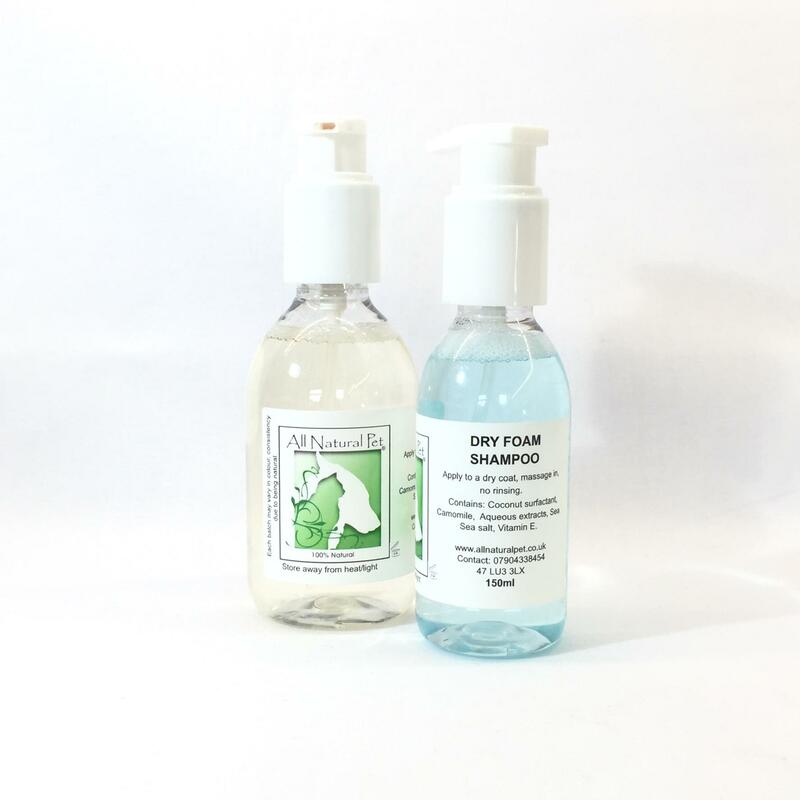 DRY FOAM SENSITIVE SHAMPOO: Coconut surfactant, aqueous extracts of Camomile, Oat & Cucumber, sea salt, vitamin e extract. Love this shampoo, it smells Devine and is really effective. Often use on Dylan if he is grubby from rolling and it works really well. Leaves the coat really soft and lovely. I have puppy dust dry shampoo on standby if my dogs need a freshen up, it’s my favourite scent, just like baby powder! We've used this while our dog hasn't been able to bath because of ligament and knee surgery. She looks great and smells lovely!